« How To Get More From Flickr? Once the web page loads, click on the “Get Started” link on the menu towards the right side of the screen. On the next screen you have two options. You can either click on the “Get started Now” button, appearing in the yellow colored button highlighted in the image below, or choose to manually pick out an operating system, according to your requirements, and download a version for your system. Now a browser pop up would appear asking you to download the file. Click on the “keep” button to start downloading the file. Once the application has been downloaded, click on the application and choose the “Open” option to launch the installation wizard. Once the installation wizard has launched, you will see a welcome screen appearing right in front of you. Click on the “Next” button to continue with the installation process. 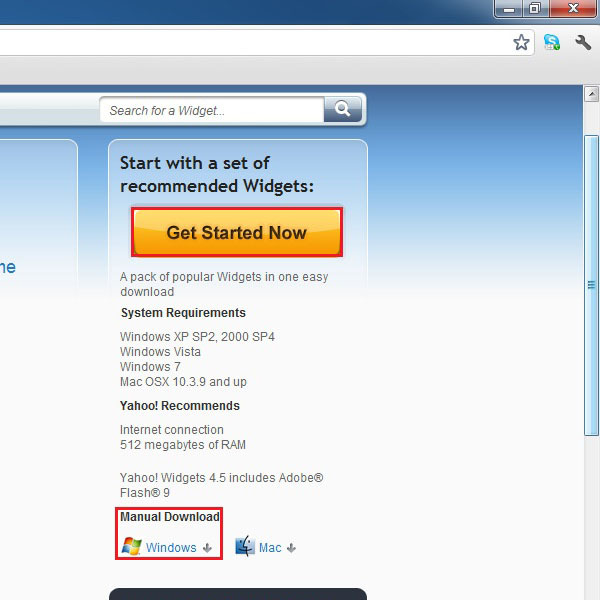 Choose a location for installing the Yahoo! 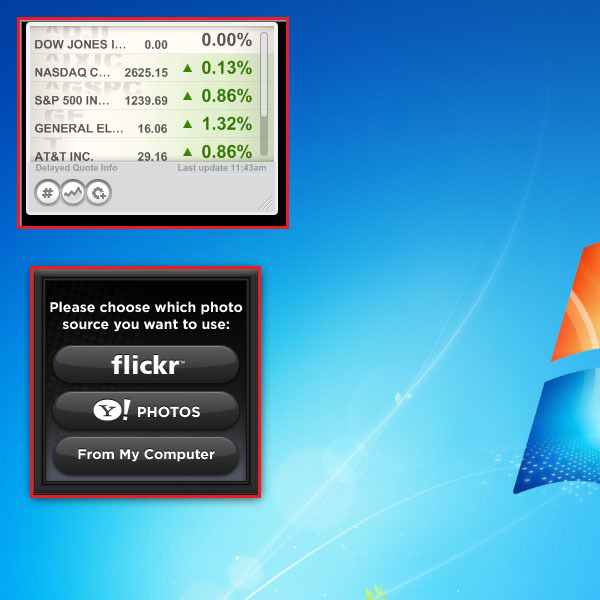 Widget application and click on the “Next” button to proceed. In the end click on the “Install” button to complete the installation process. 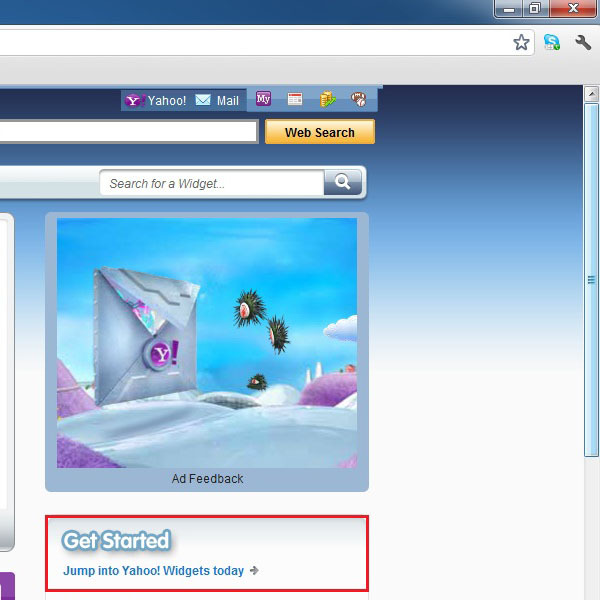 After the application has been successfully installed, click on the check box titled “Launch Yahoo! 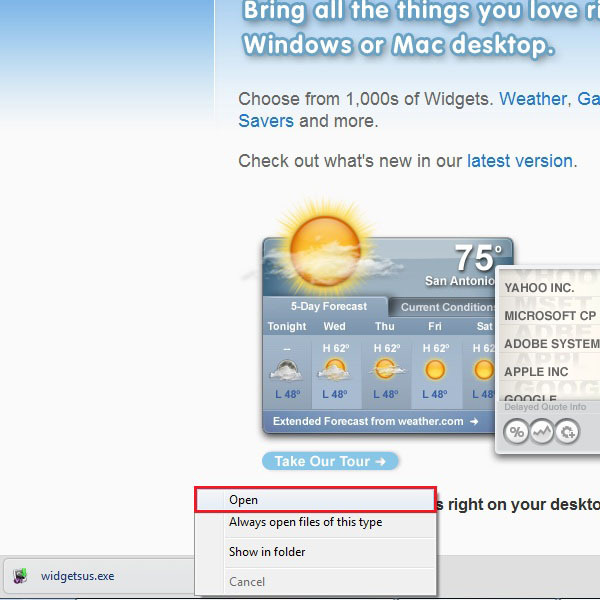 Widgets” and click on the “Close” button. Now you would be required to agree with the terms and conditions of using this application. 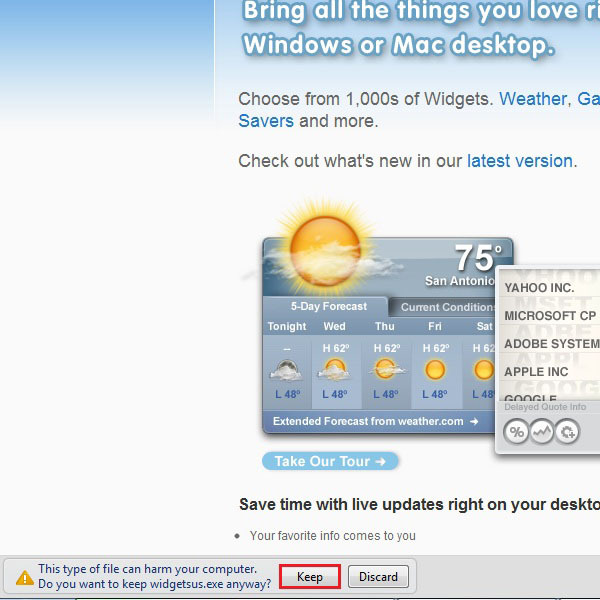 After reviewing it, click on the “Accept” button to launch Yahoo Widgets. 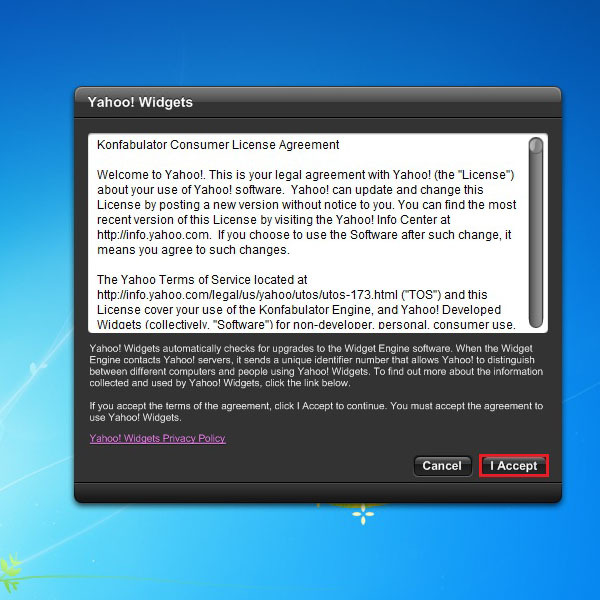 Once completed successfully, Yahoo Widgets will appear on your desktop.